Kenneth Cole Productions, Inc. is an American brand founded by New York-born designer Kenneth Cole in 1982. The shoe company's launch was a success, and the company expanded over the years from men's and women's shoes to to include men's and women's clothing. A line of accessories is also sold under the Kenneth Cole Reaction label. OKenneth Cole Productions, Inc. sells clothing and accessories under the following lines: Kenneth Cole New York, Kenneth Cole Reaction, Gentle Souls (a comfort shoe line for women), Unlisted and Tribeca. Kenneth Cole offers fragrances in collaboration with Coty. The first scents, Kenneth Cole for Men and Kenneth Cole for Women, were launched in 2002. 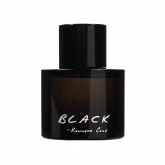 Fragrances are offered under the Kenneth Cole, New York and the Reaction labels.